Psst! We don't have only fashion designers sponsoring the Feed-a-Smile event :-) Here we introduce "CL Design". 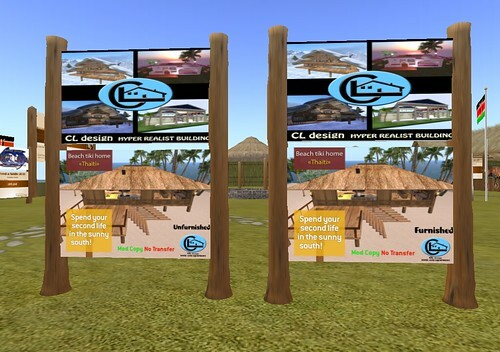 CL Design is selling sculpted houses and furniture. 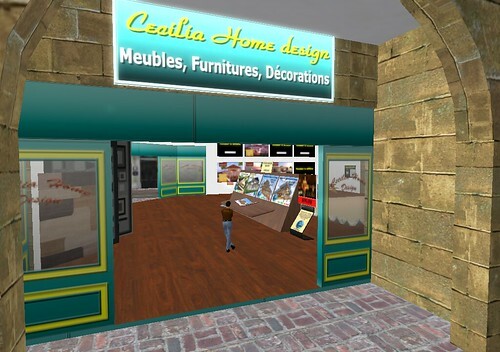 This kind and talented designer and owner of CL Design is Cecilia Levasseur, a young student from France. Her priority are the houses. She is building houses within 50 - 1200 prims, but she told me that one day she was working on a custom house with more then 5000 prims. 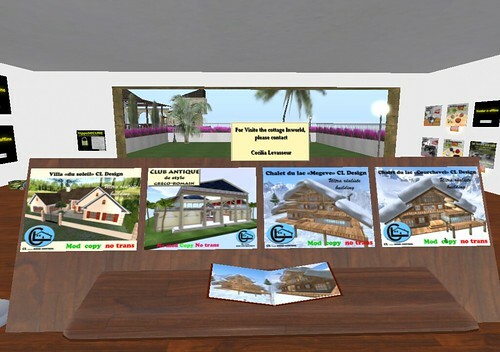 So at CL Design you will get the whole range from a nice low prim house up to a high detailed luxury villa. Cecilia's donation for the Feed-a-Smile is the Beach Tiki home *Thaiti*. 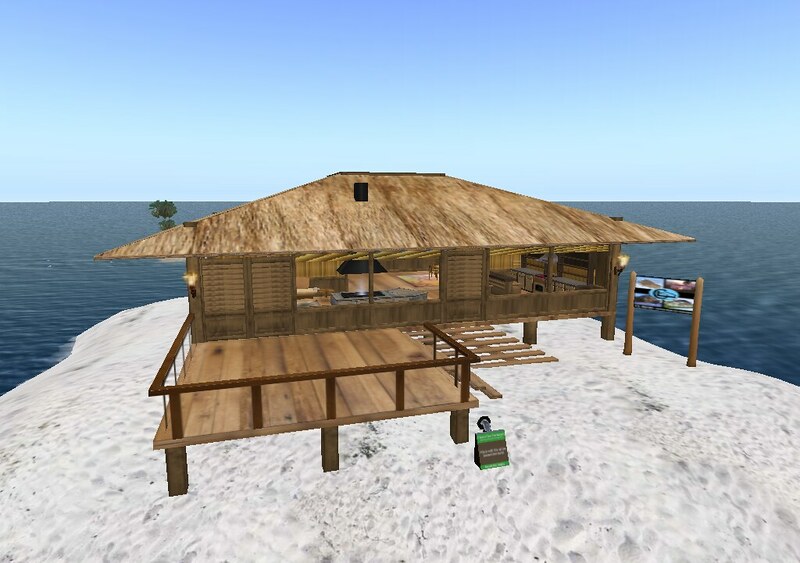 You can get the house in the unfurnished version with 46 prims or fully furnished with a little more then 120 prims. All furniture comes with animations as well as scripted window blinds and color change rugs. There is also a security system. Do come and take a look, we have the house on display next to the venue. The teleporter can be found on the venue site at her donation vendors. Thanks for your kind donation, we are sure the children's smiles will reach you.